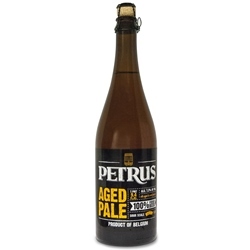 Petrus Aged Pale is a Sour Ale matured in oak up to 3 years before bottling. 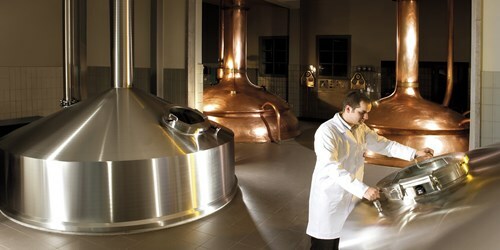 The brew pours a golden blonde color with a moderate white head and an ABV of 7.3%. 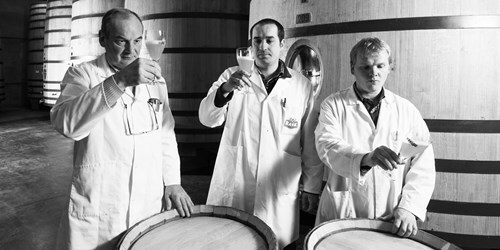 Sharp aromas of white wine, vinegar and fruit – lemon, apple, apricot – and mild wood notes herald a flavor profile that charts a similar course but not as tart as the nose. 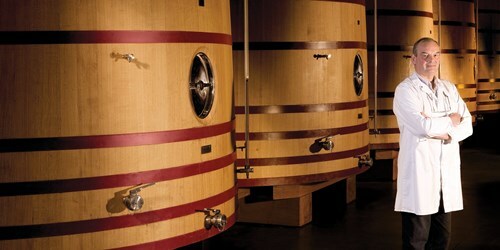 The finish is dry and sour, with a slight sweetness and sharp carbonation. 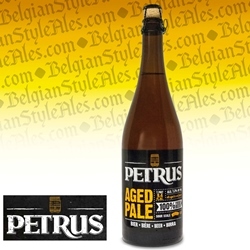 Unavailable commercially before 2001, Petrus Aged Pale remains the "mother beer" that De Brabandere Brewery uses in various quantities to blend with its other Petrus brand ales. 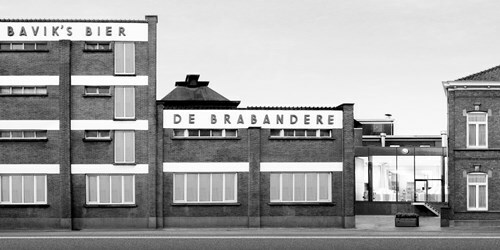 Smoked, pickled or marinated fish (trout, herrings, sardines), shellfish, squid; salads or peppery style cheeses such as Monterey or Pepper Jack and pungent cheeses such as Gorgonzola and Limburger.